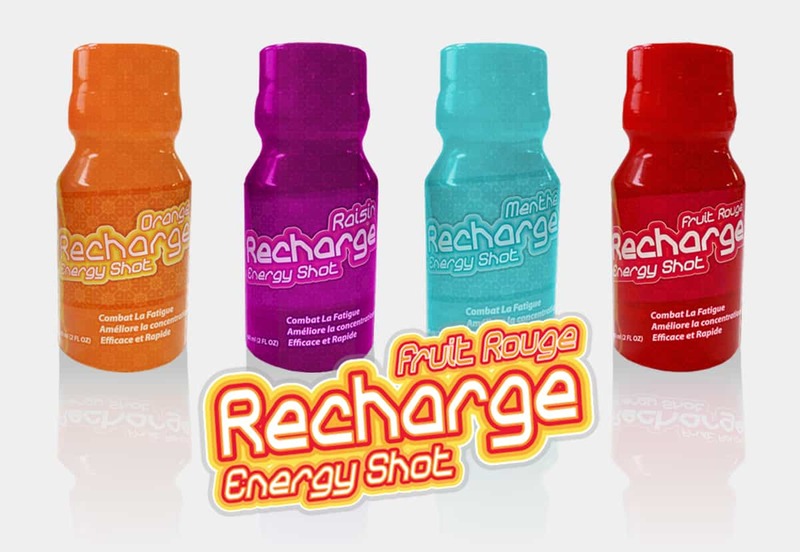 5 hour Recharge Energy shots that can help you feel energised and alert for hours. We Created Branding and designed a range of labels for five different flavoured high energy drinks, Orange, Rasin, Menthol, and Fruit. Then applied it to 60ml bottles using Shrink Sleeve labelling technology. Labels for five different flavoured high energy drinks, Orange, Rasin, Menthol, and Fruit.